5th graders may have already learnt how to look for information, how to keep track of sources and how to present their findings, but this year, their research reports will have to be more detailed. 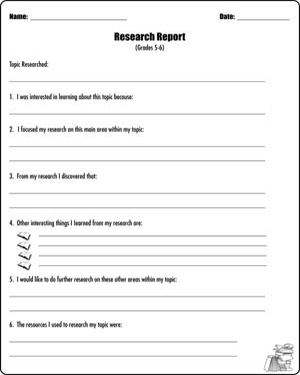 ‘Research Reports 5 & 6’ is a report writing worksheet meant for 5th and 6th graders, to help them think more deeply about their research topic and discuss their learning in greater detail. The worksheet also attempts to motivate students towards further research in their area of interest. JumpStart also has a note card template that students can use to keep track of their sources and develop good research practices.